HOW DO I PAY FOR ADULT DAY CARE SERVICES? Costs vary among adult day centers, depending on the services offered, type of reimbursement, and geographic region. While an adult day care center is not usually covered by Medicare, some financial assistance may be available through a federal or state program (e.g., Medicaid, Older Americans Act, Veterans Administration). There are also several state, and local funding sources that support day care programs in the area. Please contact us or visit our center to discuss your financial options. WE ALSO ACCEPT PRIVATE PAY MEMBERS. To find out more about the specific adult day care centers where you live, you will want to contact your local aging information and assistance provider or area agency on aging (AAA). 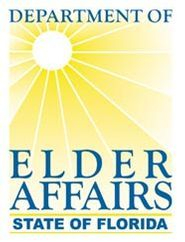 The Elder care Locater, a public service of the Administration on Aging (at 1-800-677-1116 or http://www.eldercare.gov) can help connect you to these. Call the Elder Helpline at 1-800-96-ELDER (1-800-963-5337). View the Elder Helpline page. The National Adult Day Services Association is a good source for general information about adult day care centers and programs. They can help you link to a state adult day care association. It can be reached by calling the toll-free telephone number 1-877-745-1440 or by going to http://www.nadsa.org External Web Site Policy. 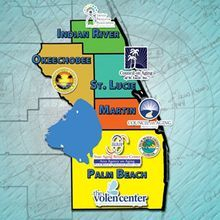 The Florida Adult Day Services Association was established in 1983 to unite centers in providing leadership, advocacy, education, and the advancement of adult day services in Florida. Since its inception, adult day services have evolved from social models to comprehensive, person centered care centers offering a number of additional levels of care.